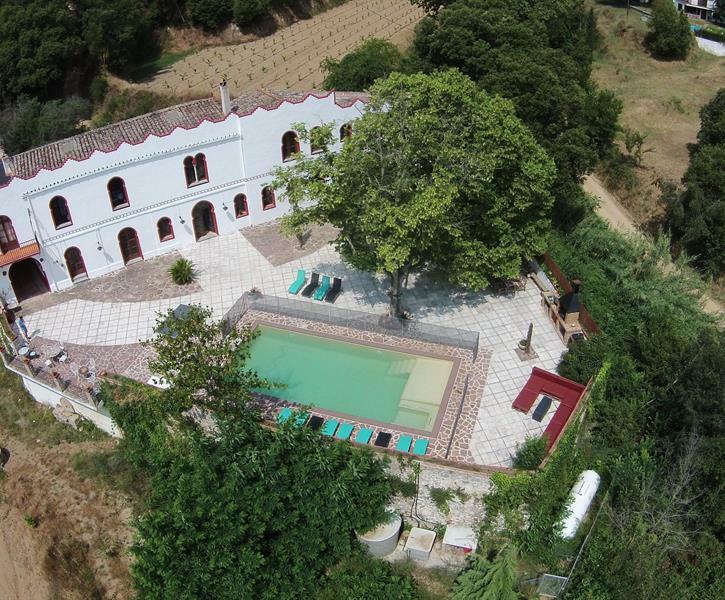 Villa Cortijo is a magnificent Villa placed in a natural park 40Km from Barcelona. Enjoy your holidays in a dream house with private pool. Max capacity 33pax. Beach at 7Km. The mansion we stayed at was amazing. Beatiful old spanish mansion with plenty of room for up to 31 people. Large dining area inside and outside with enough space for everyone to sit and eat at one table. The price was incredible and we were not disappointed in any way. The Mansion Manager Jaume was very helpful and fullfilled any wishes we had. Just be aware that Barcelona is 45 minutes away. If you know before Hand it's not a Problem though. I recommend it 100%. Our large family of 4 generations stayed at this beautiful accommodation for a week in September. It has been an unforgettable vacations surrounded by Nature. We did routes on the Natural park walking or cycling, bird sighting or watched the stars at night. It is a really peacefully place. The accommodation was perfect for us and fulfilled all our expectations. Bedrooms are really comfortable and with all the facilities needed. The kids where all day by the pool, and the adults chilling under the shadow of the threes. Jaume is really service-minded, provided lots of information to assist us during our holidays. We also had chef service at the villa and were delicious. The whole experience was great, highly recommendable!